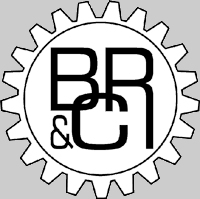 Established and trading since 1967 B & C Reconditioning (Gears) Ltd provides a quality service for the Construction Industry, Quarrying, Mining, Dredging Marine, Access Platform, Port Authority, Brickworks, Steelworks and Lifting Industries. Slew Pinions, Bevel Gears, Spur Pinions and Spur Wheels, etc. New Slew Rings can be supplied from stock or manufactured to customers specification.